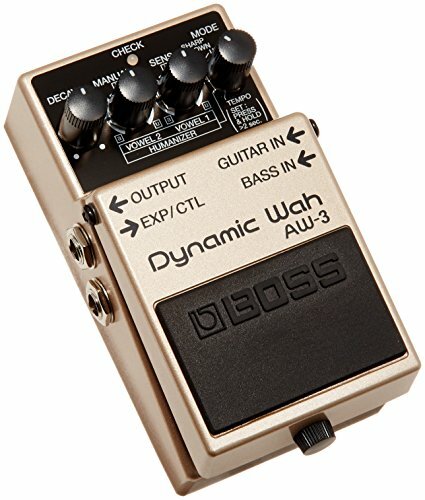 The BOSS AW-3 Dynamic Wah guitar effects pedal features all the wah you need! It's not just for guitarists - the AW-3 is Dynamic Wah is like two pedals in one, with dedicated ins for both guitar AND bass. Go with between fixed and auto wah, or add an optional expression pedal. You also get a 'Humanizer' function that lets you make wild, human-voice type sounds! This pedal can be controlled automatically via a tempo control, or externally using an expression pedal. Put killer wah effects into your pedalboard setup with the small, easy-to-use, and downright killer AW-3 Dynamic Wah!